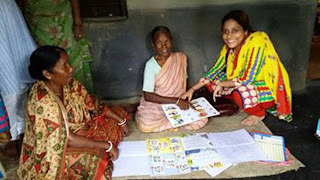 I am Rima Pakira from the Baladbandh village, Hooghly District, West Bengal, India. I have been associated with the Award Programme since 2013. 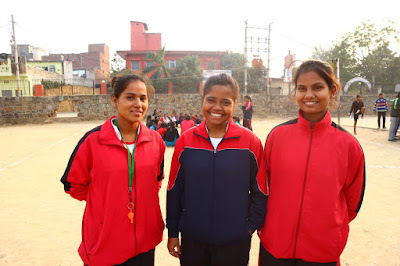 Last year was very special for me and for my three friends because we got this opportunity to participate in the camp of Bisindha organised between 24th and 28th December, 2016 to complete our Residential Project as Gold Award participants. I have attended camps in past, but the camp of Bisindha was quite different from the others. In this camp, for the first time I got to know the actual meaning of the word “Responsibility”. I learnt how to finish any task within the stipulated time and in a proper manner. As a Gold participant, I had to look after the new participants, who were attending this camp for the very first time. of youngsters and at the same time, understood how to guide them effectively for every activity undertaken as part of the Residential Project. The overall experience of this project made me more confident and responsible than I was. Now I have already taken on an initiative to run our next skill development project with a small team of people from my village. This team will learn how to make different products using wax, under the guidance of our Award Leader and interns of IAYP. Thanks to the Award for instilling in me new confidence and making me responsible! 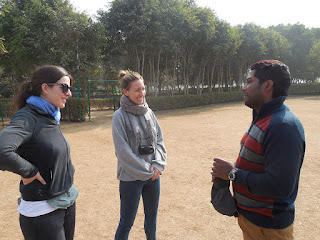 IAYP India welcomes members of the communication team: Marianna Davis and Emma Fisher from The Duke of Edinburgh's International Award Foundation. The Team is visiting India from 15th January to 22nd January 2017. 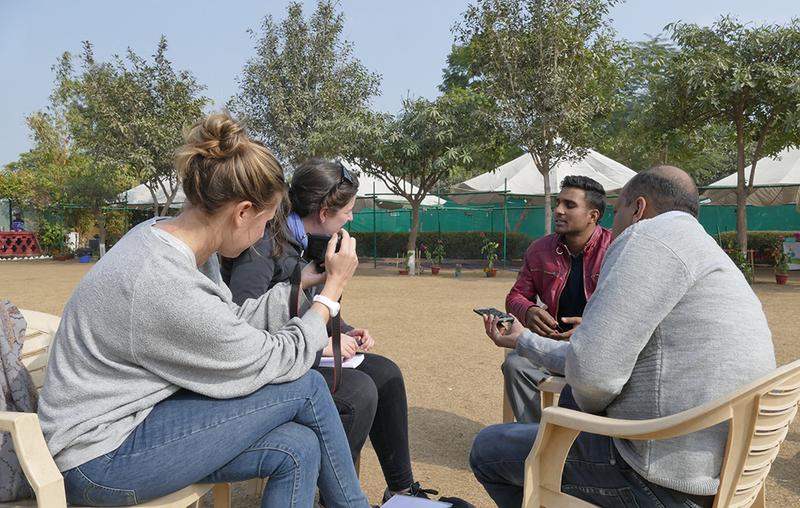 During their stay in India, the team visited NAZ Foundation's community site and the Adventurous Journey Camp organised for participants of JCB Sponsored Government Schools in Delhi. Subsequently, they plan to visit Emmanuelle Ministries Kolkata, Sharda Math and Ramakrishna Blind Boys' Academy, Kolkata; and ISPG-assisted Gender Diversity Empowerment Project, Kolkata. 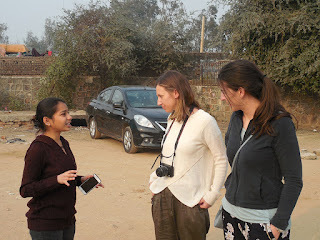 On the first day of the visit, the team met with the Award Leaders of NAZ Foundation and witnessed the Award in action, empowering young girls as part of NAZ India Goal Project. 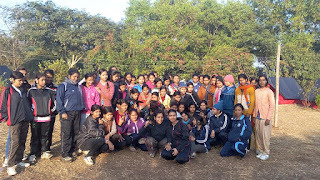 On the 17th the team visited Rocksports Camp, Tikkling where the NAA organised an Adventurous Journey Camp for Bronze participants and met and interacted with Md. Imran and Tilak Raj, both Gold Award Holders, volunteering for the Award. More events are lined up and the members of IAYP India and The Foundation are excited and look forward to understanding the functioning of the Award from different angles and dimensions. IAYP India is positive that this visit will help build a more effective communication channel. For news updates on the communication team, check this space for detailed reports. A great experience, etched in our memories forever! 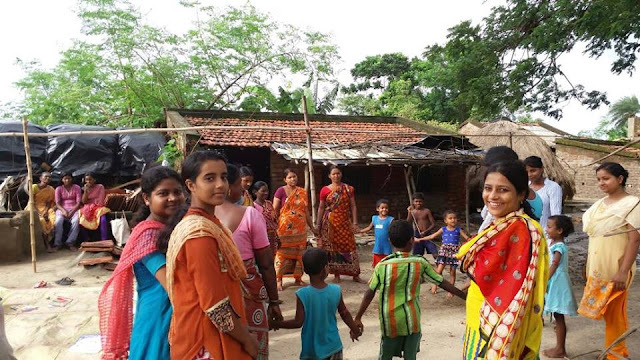 Sixteen Gold Award participants accompanied by two mentors went for a 5-day Residential Project to Shuklapur from 26th to 30th September 2016. The project involved constructing of two bio gas plants and exposure to the farm life of the villagers in Shuklapur village. Vinayak Agarwal, a Gold Award participant sharing his experience with us. “Over the next five days, you will undergo pressure and not the laid-back physical attitude which a layman can withstand, but one which will strain you and engross your minds to an unimaginable extent.” This was our seemingly peculiar introduction to the Himalayan Environmental Studies and Conservation Organization (HESCO). The following five days, our two mentor teachers Mr. R. Srikanth and Mr. P. Chaturvedi and we, experienced the substantiation of the aforementioned statements. The first day we had an introduction to the Padma Shri Awardee Mr. Anil Prakash Joshi, in which he expressed his dissatisfaction about the way developed or developing countries were striving for economic prowess, notwithstanding the fact that the very foundation on which all of their economics lies, is agriculture. India, despite being an agrarian society, had turned oblivious to its invaluable backbone, he said, and with this, we strive to do much more than any other could have, in the given time frame. On our tour of the Isotope Hydrology Centre and HESCO, we came across a multitude of attention-grabbing things but all of them seem to diminish compared to what lay ahead. The task at hand was to construct two bio gas tanks. All we had was some basic tools and two experienced guides. On arrival at the village, which we had reached scurrying past lush meadows, we were greeted by the warmhearted residents. The task unpredictably turned out to be a very meticulous one, for it required the holes, drills, and cuts to be made at precise locations, which if dealt carelessly, could result in the wastage of two precious resources -- time and money. This tank would be utilized by the villages for household work, such as using the gas in stoves instead of LPG. The tank puts to use the otherwise wasted organic material and slurry and, over a period of days, turns it into bio gas. Through means of anaerobic fermentation, in a sealed enclosure, the methane gas is produced. What’s more is that the remnants in the tank can be used as organic manure. Two of these particular constructions were done within two days, discounting the request of our guides to ‘go slow’. The remaining task now was basic manual work related to agriculture. However, on ground, the work was physically excruciating, to say the least. Nonetheless, with the division of work among 16 Award participants, four pastures were converted into garden farms, which were to be utilized by the villages to grow subsistence for their daily needs. All through this, we had lively interactions with the villagers through which we got to know a lot about life in a village. The ever so welcome attitude of theirs, not to mention the food back at the camp, had made us feel at home. Moreover, the team at HESCO with their heart-warming approach and far reaching outlook gave us a sense of satisfaction, for it was because of such people that one could have an experience so great that it is worth being etched in our memories forever. 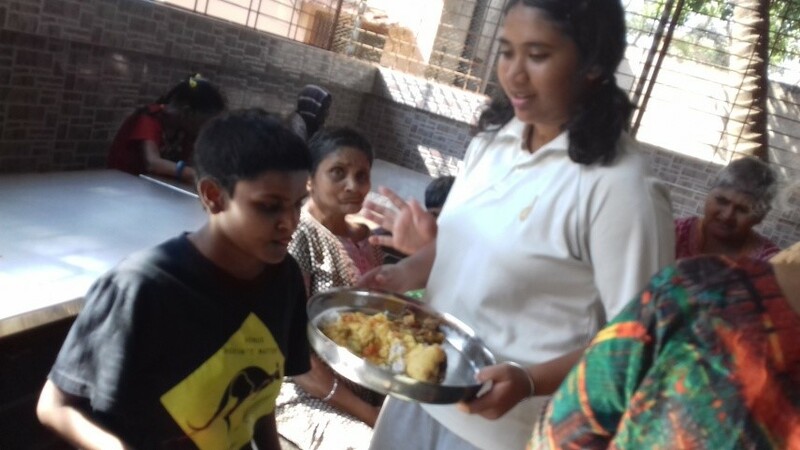 Bronze participants of EuroSchool, Airoli visited the Old Age Home as a part of their Service. Sonia Cardoza, Award Leader, shares their experience with us. The Bronze level participants of EuroSchool, Airoli decided to work at the old age home, Prem Dhan in Airoli, for their Service Section of the Award. 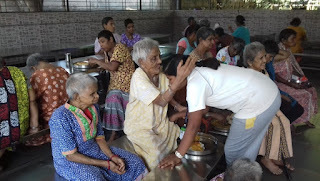 First, they started with a small meeting to plan the events for the people at the old age home. Next, they decided to plan a few games and activities to celebrate the festival of Christmas there. 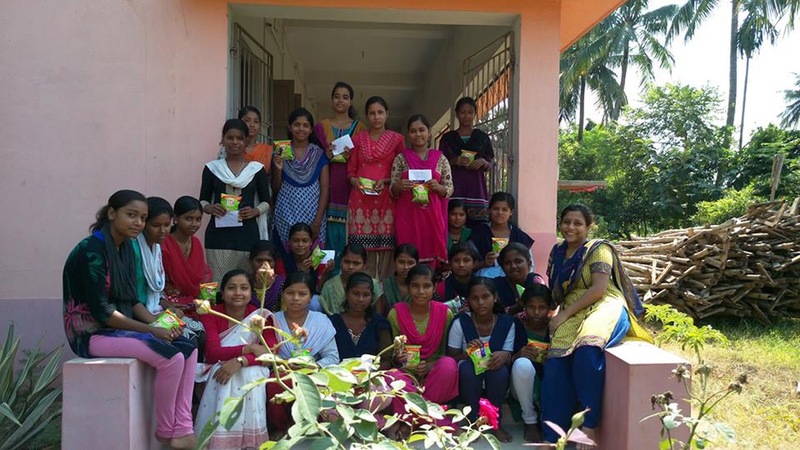 They prepared cards, gathered decoration items and also collected a few gifts that they could give as a token of their appreciation and love to the old people at the home. On 19th December 2016 the students spent their afternoon with the residents of the Old Age Home. They sang carols, old Hindi songs and played tambola. 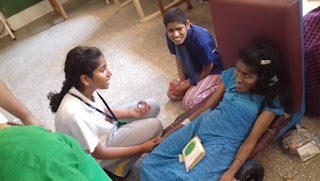 Everybody enjoyed their time at the Old Age Home. The participants got a first-hand experience of the living conditions of the old people, many of whom have been disowned by their own children. The attitude of these people is truly inspiring, for they have no hard feelings or any anger towards their children. 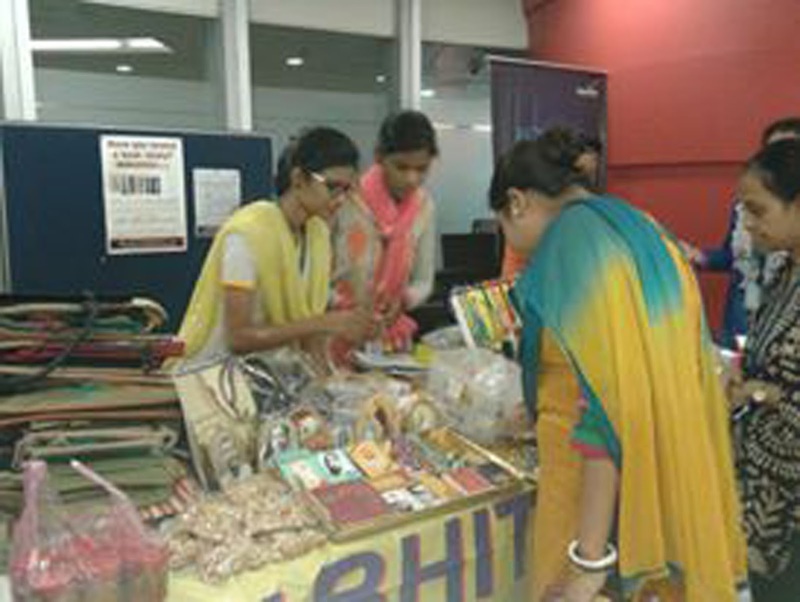 The participants were deeply moved and it helped them realize the true worth of their own parents. The happiness of the old people was reflected in their eyes and gestures. 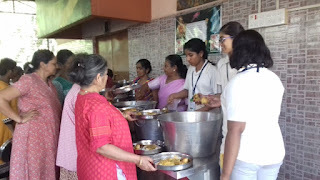 The participants stayed on to help the staff during lunch time. All the participants left the place with a promise to meet their new friends regularly.